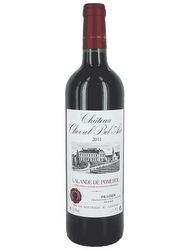 Its dark garnet color offers an open and distinctive nose of stewed fruit and licorice with a floral edge. On the palate, this wine is fine, soft, melted and frank. This vineyard was created in the 13th century under the Regency of Blanche of Castile by a knight returning from the Albigensian crusade. At the time of Louis XIII, the path along the Rhone, in the highlands of Tain l'Hermitage between the rocks and the river’s waters, required the Lords to get out of the carriage and cross while being carried in a chair. The country’s wine growers, who were smart traders, took advantage of this by offering them a few pitchers of their wine. The king himself took advantage of this promotion. 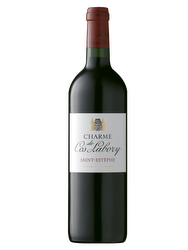 The name Chapoutier has been known in the Rhone Valley since 1808. 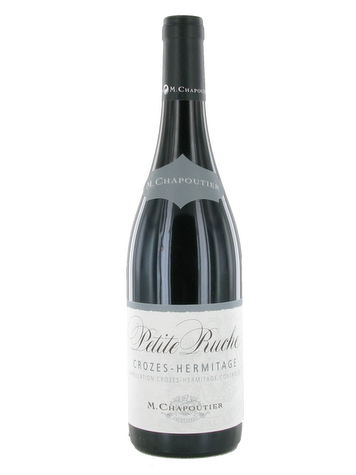 Polydor Chapoutier was the first to buy vines, going from the status of a domaine winemaker to grower and then negociant. Since 1990, Michel Chapoutier has held the reins of the estate. Vinification: Vinification occurs in cement vats with one remontage per day. Vatting lasts from 2 to 3 weeks after fermentation. The wine is then matured in vats before being bottled.